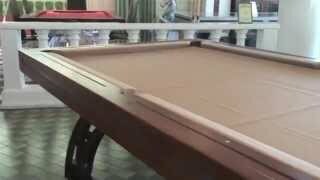 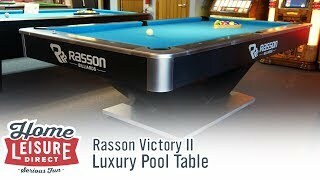 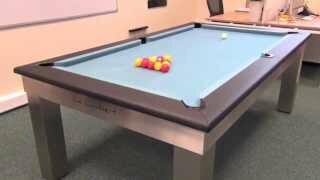 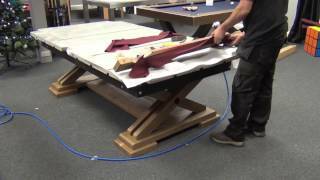 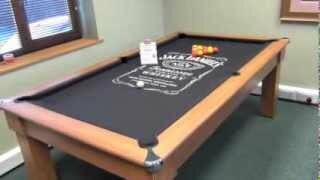 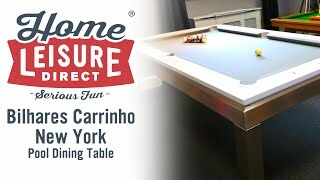 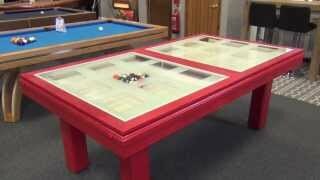 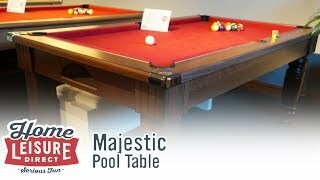 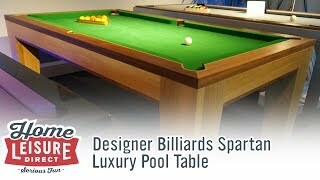 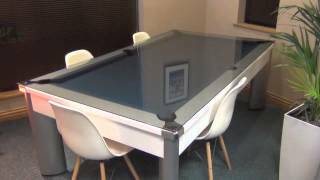 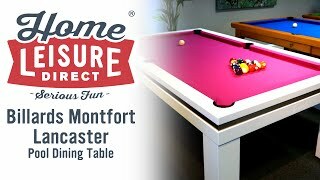 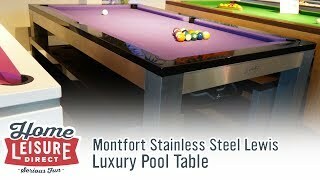 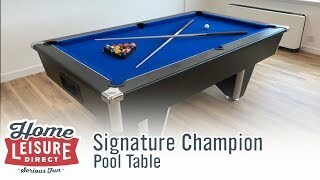 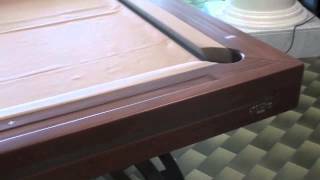 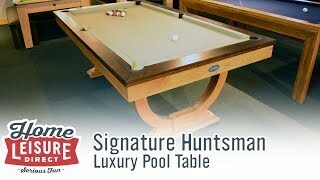 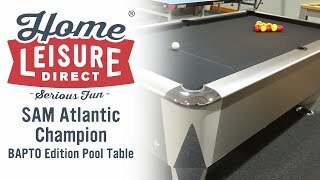 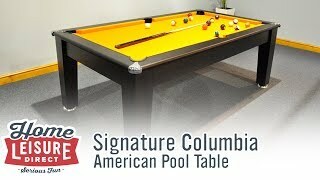 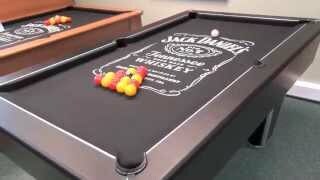 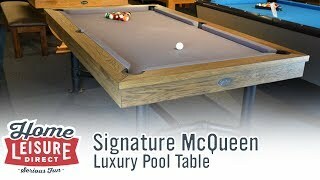 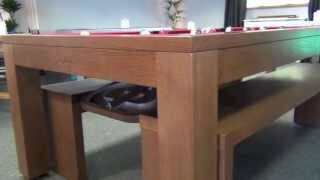 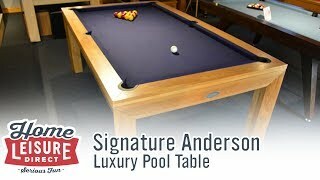 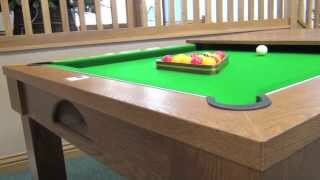 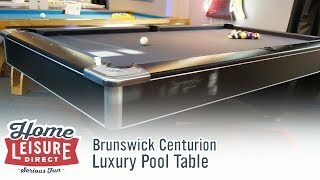 This is the Auckland: a wonderfully finished pool dining table produced by Billards Montfort. 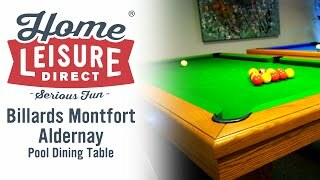 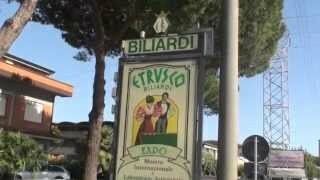 Designed and made in france, the Auckland crosses a contemporary look and design with the brilliant craftsmanship that Billards Montfort is renown for. 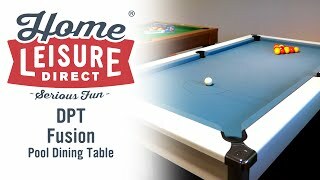 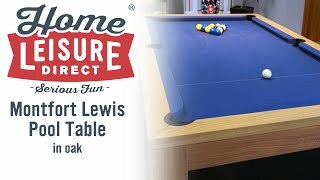 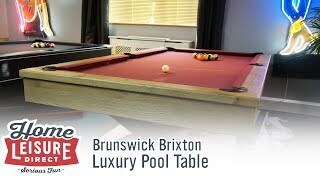 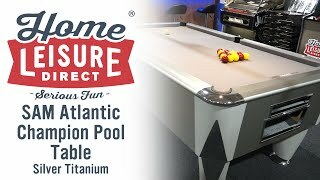 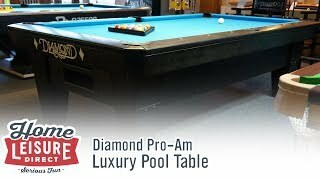 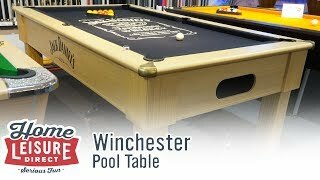 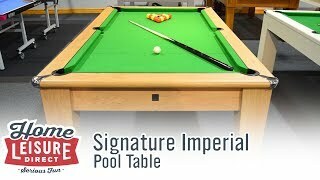 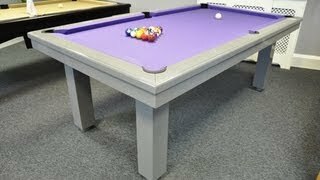 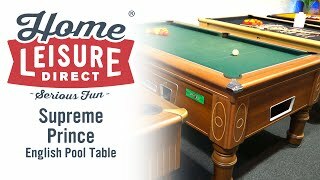 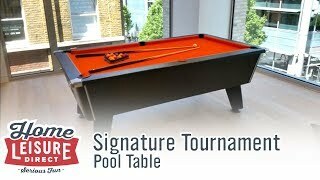 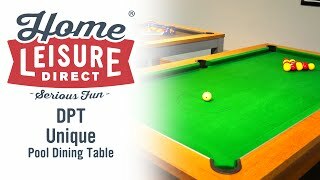 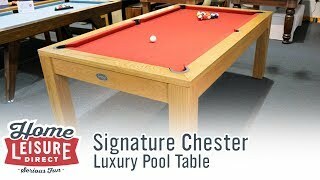 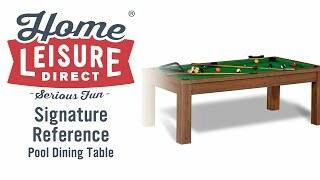 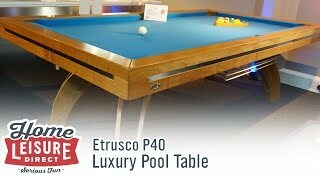 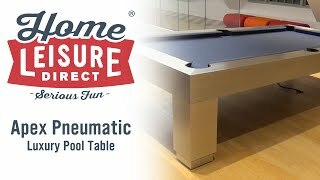 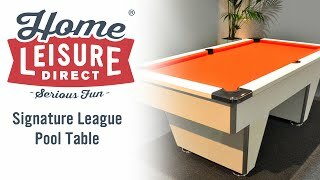 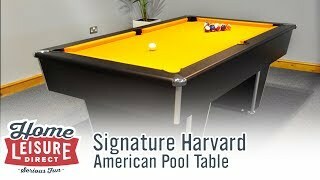 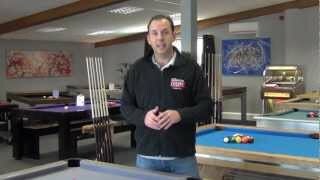 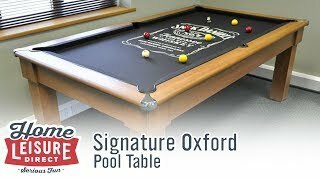 Available in 7 or 8 foot sizes, the Auckland is a great choice for those looking for something a little more contemporary in a pool table, whilst retaining all the functionality and convenience a pool dining table provides, with a wealth of different customisation options, that can truly make the Auckland into your own perfect table. 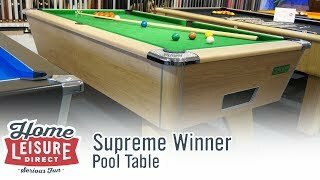 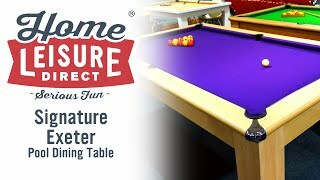 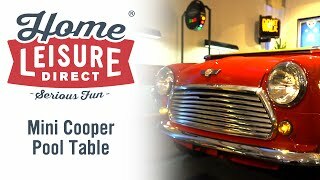 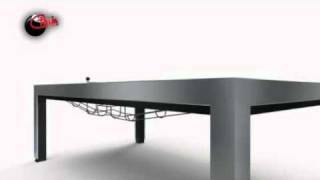 Let’s take a look at the table’s design. 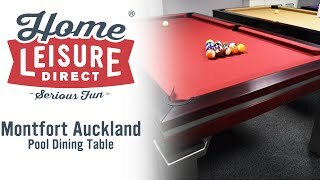 Depending on the size of your table, the Auckland will come with either a single piece slate if you have a 7 foot table as seen here, or a 3 piece sectional slate if you opt for the 8 foot table. 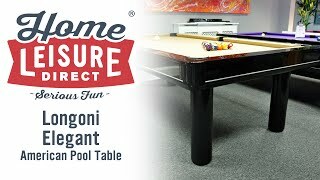 The style of the table means that the slate and main playing surface almost appear to be floating above the legs themselves, offering a very unique looking table, and a definite conversation piece. 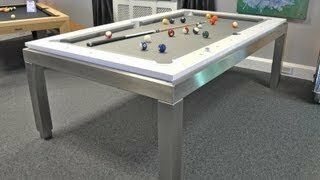 Standing on four steel legs, the slate is supported and bolted directly to a metal supporting frame underneath to make sure the slate is uniformly supported. 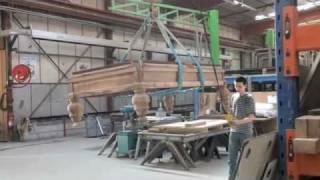 The top frame is built using solid beech which can then be finished in a number of different finishes. 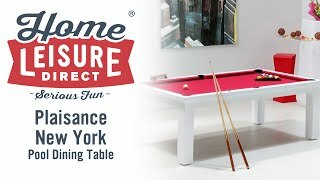 In this case, we’ve applied a lavish mahogany finish to the table, but you have the option to finish the table in a further 16 different finishes, from woods such as teak, to more traditional finishes like a black matte. 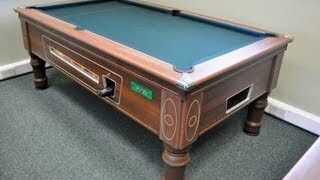 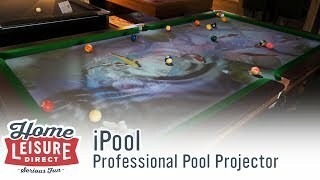 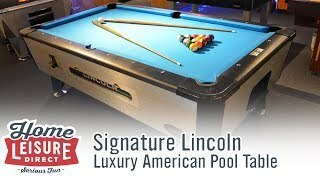 You can even select one of three pocket styles for the Auckland: English pool, American pool, and carom. 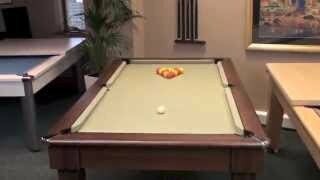 The slate bed ensures a smooth and consistent playing surface, and it can be fitted with a wide range of over 30 different cloths, ranging from various colours of Simonis cloth, all the way up to the speedy elite pro cloths. 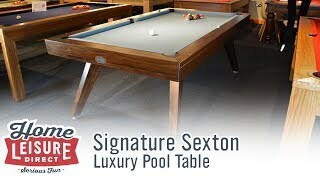 The table in our showroom is fitted with a red Simonis cloth, and we feel it perfectly compliments the deep red mahogany wood that the table is finished in. 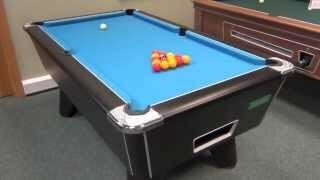 A ball return is also standard on the Auckland. 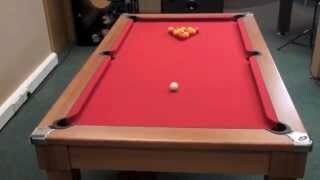 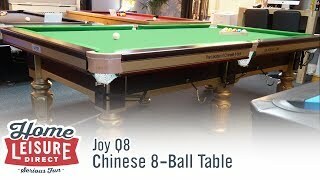 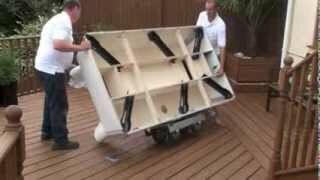 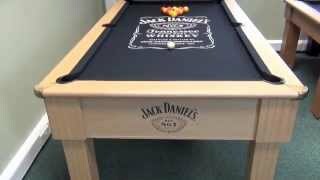 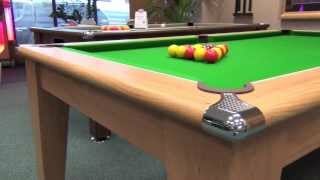 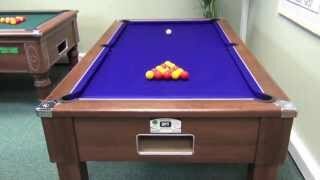 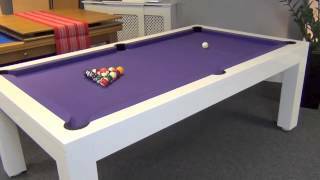 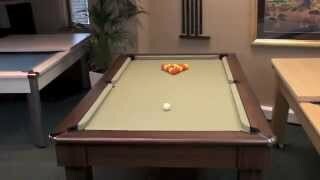 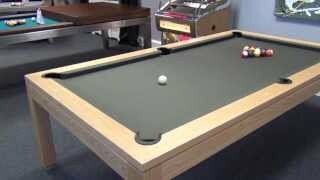 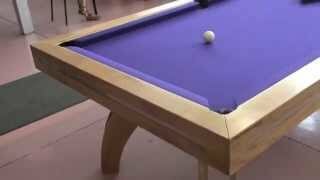 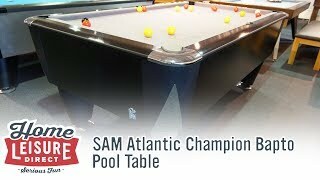 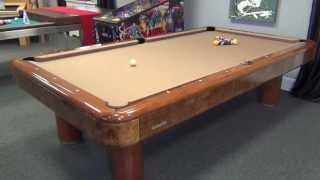 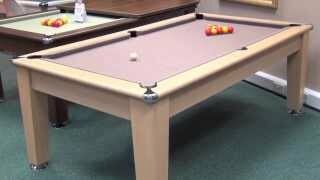 Once a ball is potted, it will roll into this special channel beneath the table where it can be retrieved easily. 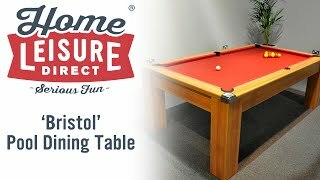 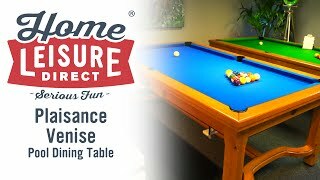 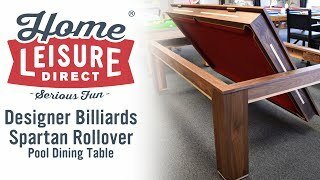 This ball return can be lifted out of the way when not in use, this allows the Auckland to become a very attractive dining table when purchased with dining tops.